Gone are the days of milk men and glass milk bottles that were used over and over and over again. Now a days many milk jugs end up in the trash and landfills, some may make it to your recycling plant, but they don’t have to! Did you know you can reuse them at home in a myriad of ways? A few years ago when I wanted to start planting but the weather wasn’t quite right, I decided to help the kids plant inside. We could have gone to the store and bought little pots for each of them, but why do that when we had a trash can with a couple empty milk jugs sitting in it? You can leave the milk jugs plain, or let the kids decorate them with paint, stickers, jewels, leaves, etc. 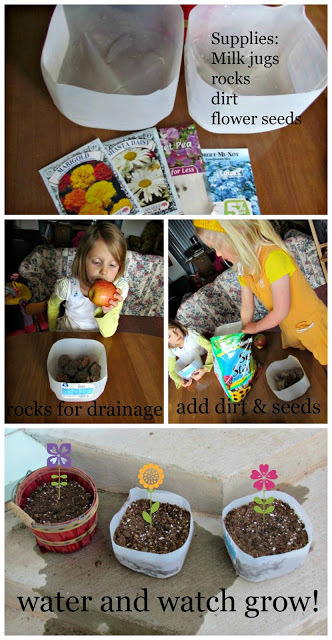 This upcycling project will easily entertain the kids for a whole afternoon. What will you plant in your Milk Jug Planter? If you don’t want to plant in the Milk Jug, One Creative Mommy turned one into a watering can. Again another SIMPLE craft the kids can help with. My kids are always fighting over who gets to water the plants, so I can easily keep 4 jugs out of the landfill by turning them into personalized watering jugs for my kids. Put them to work decorating again, and everyone will be happy this spring! Dream Garden 101 teaches you how to turn a Milk Jug into an Upside Down Tomato planter. We love tomatoes, and growing our own, but when we rent there’s not always the space to grow a garden. This is a great space saver while still growing your own food, and teaching the kids about agriculture. Of course a little paint wouldn’t hurt to bring the planter more to life. 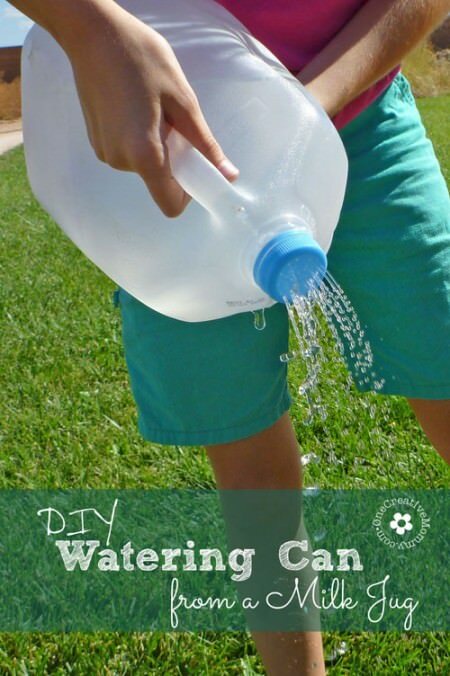 She also shows how to turn a milk jug into a slow drip watering system. If you’re like me, perhaps you planted your garden a little early because you got too anxious waiting for the weather to warm up enough. That or maybe you did wait, and mother nature decided the weather should be weird this year! 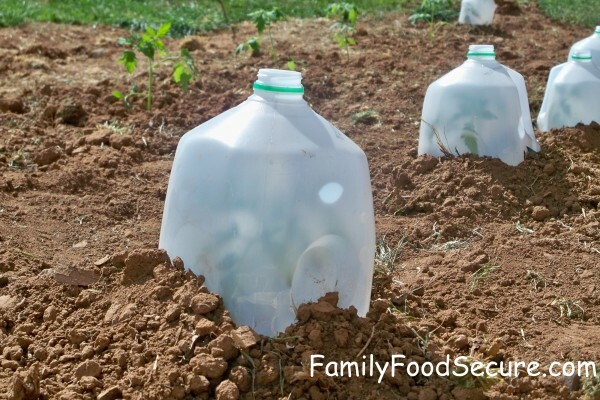 If that’s the case, Family Food Secure has a quick tutorial to turn Milk Jugs into a hot cap – or basically a little home for all your sprouts when the weather threatens a late frost. Milk Jugs aren’t only good for reusing in the garden, though. Oh now! 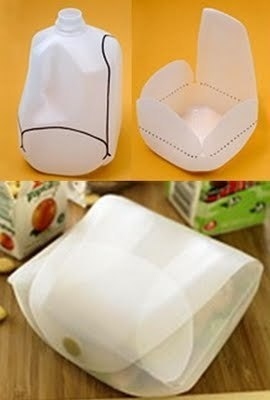 Check out these other really awesome ways to reuse your milk cartons. We all have a tupperware drawer (whether you use that brand or not…it’s just what I call those plastic food containers). Instead of losing lids, losing containers, or getting fed up with never having bottom and top match, just turn your Milk Jugs into a sandwich box! I found this idea over on Curbly. 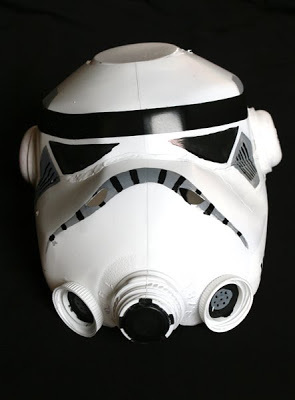 If you have more of an inclination to dress up versus heading out to the garden, then this Storm Trooper Mask from Filth Wizardry is probably a better use of your empty milk jugs. 1 helmet uses 2 jugs! Imagine a whole family of Storm Troopers saving the planet 2 milk jugs at a time. Finally, if you really want to get ambitious and save those milk jugs from the landfills, start asking your neighbors for their empty bottles, or plan on drinking a TON of milk for this one! 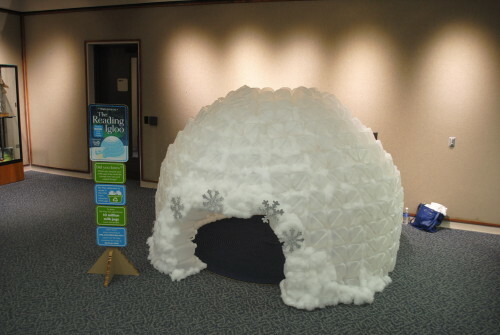 A couple hands, and a few hours, and you can have a Milk Jug Reading Igloo just like the one Replay Report made. I’d personally be lost inside for the rest of my life. Toss me a book a pillow and a blanket, and I might consider living in it. How are you reusing Milk Jugs? These are all super cute ideas! I LOVE that we still get milk delivered from a milk man pin glass jugs! So many wonderful ideas! I love the igloo! So cool! I wish we drank milk that came in cartons! 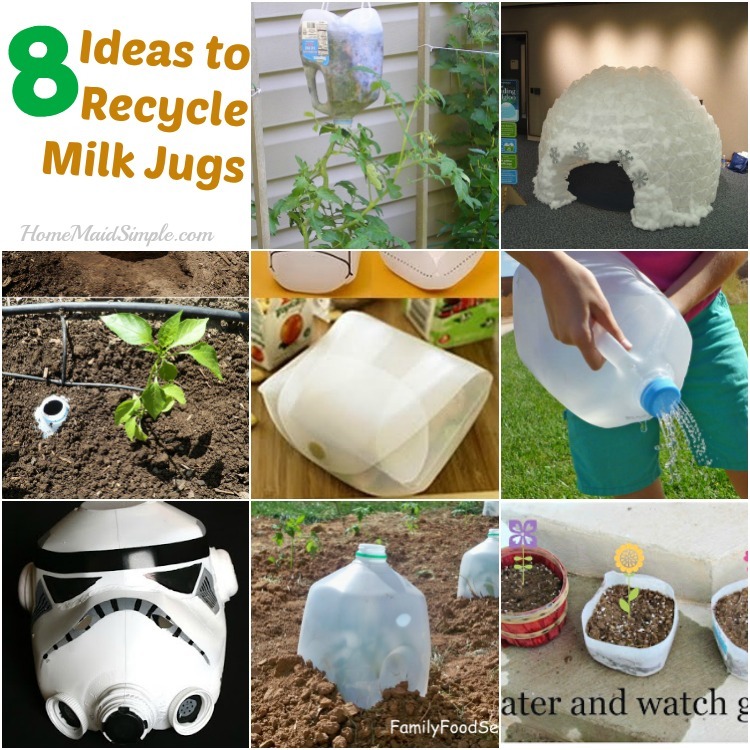 These are all amazing ideas for recycling milk jugs! I always feel wasteful with how many we go through event though we recycle.